Floor plans have an astounding effect on people’s lives. How we live and interact with our family is greatly impacted by a home’s layout. We need a home to meet our lifestyle and provide style and convenience. 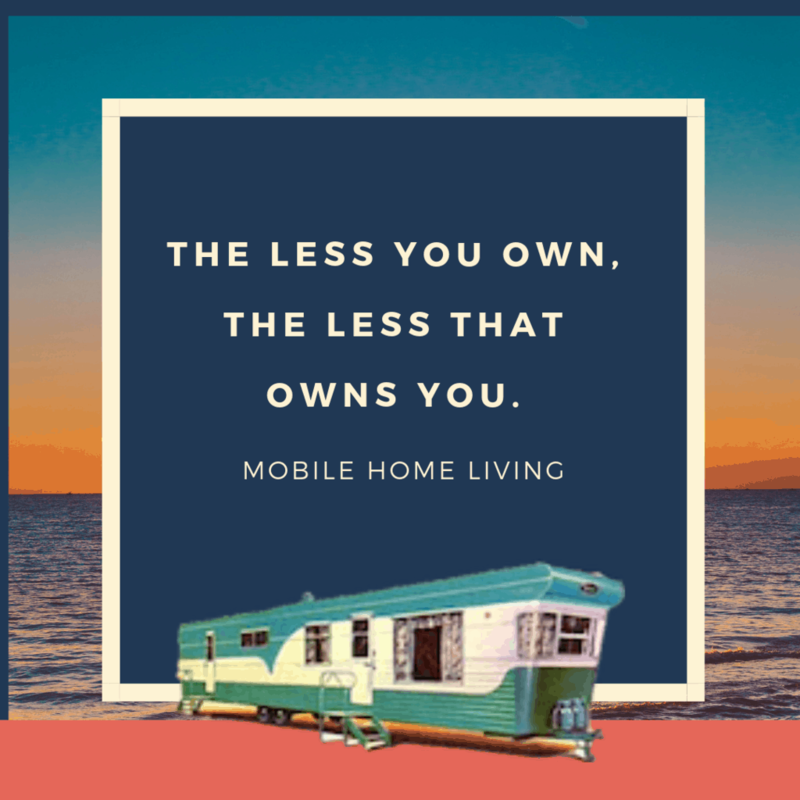 That is especially true when it comes to manufactured home floor plans. In fact, online buyers agree that floor plans are more important than images when searching for a home and are vital to the buyer’s process. 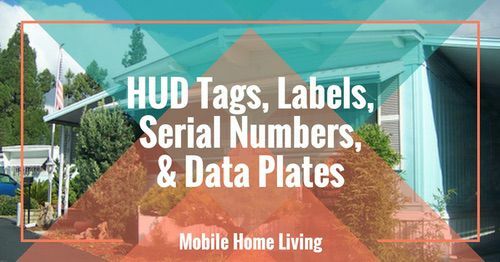 Those of us planning on a manufactured home remodel have probably created a floor plan or at least drawn out the idea – it helps us visualize the changes. 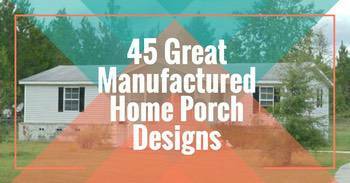 We’ll take a look at 10 great floor plans for mobile and manufactured homes. From vintage to modern, we’ve found some great floor plans that maximize space and delivers a great flow of the home. 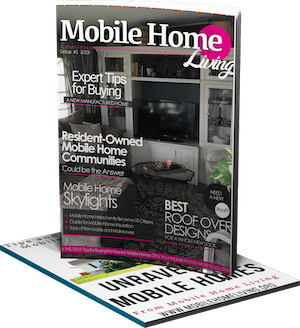 We’ve discussed how the 10 foot wide mobile home completely changed the mobile home industry. When mobile homes were only 8 feet wide, due to highway restrictions, the homes had no hallway. You had to walk through one room to get to the next. 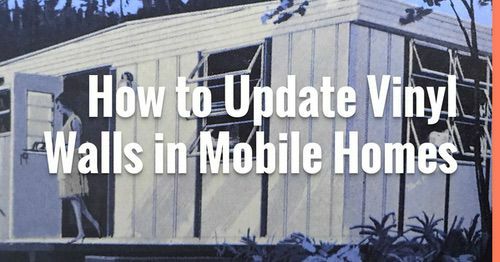 Ten foot wide mobile homes allowed true privacy and were an important step for mobile homes to become better suited for full-time living. There were plenty ingenious designs during the mobile home golden era. 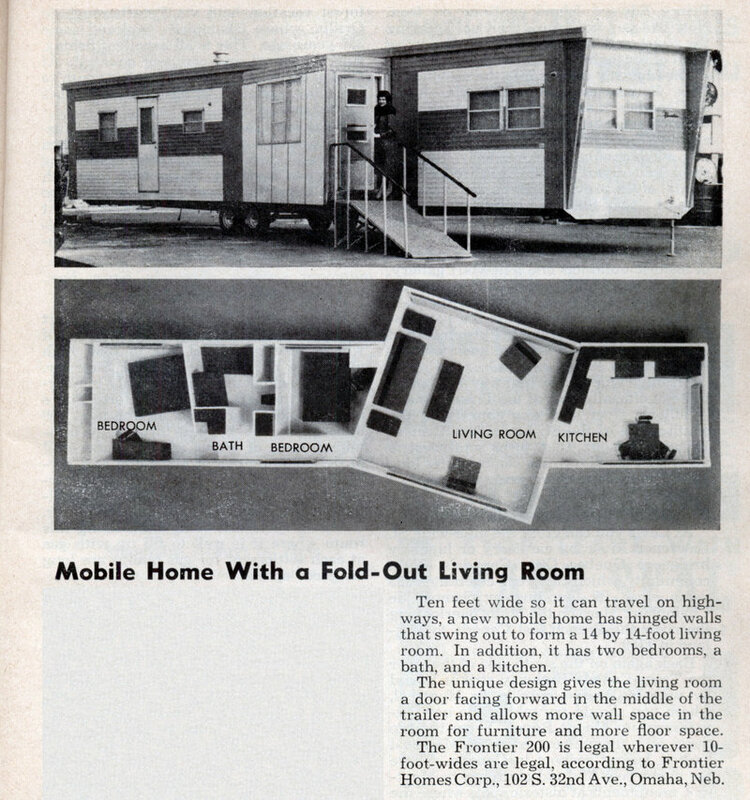 This vintage mobile home ad shows the floor plan for a fold-out home. Two hinged walls let out to provide additional space. Single wides have a lot of living space in a small package. These 4 designs prove the industry has perfected small space living. The home above is from Skyline Homes and called the Sunwood. It has a kitchen on the end along with a pantry and an entry closet. The home below was found on floor plan website and also shows an end-kitchen. I’m a sucker for kitchens on the end! 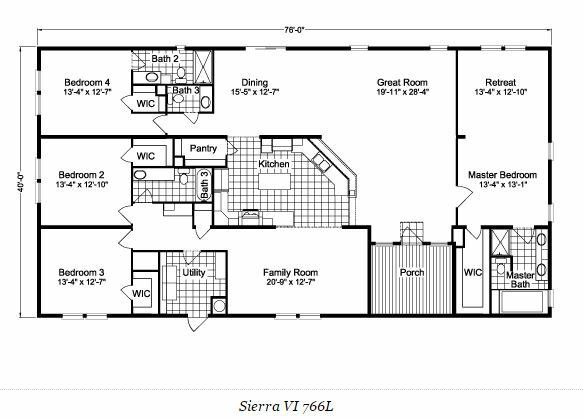 This next floor plan from Country Lane Homes is very common in manufactured homes. It maximizes space and allows for separate sleeping quarters – essentially an adult side and a kid side. The living room and kitchen, or main living area, is right in the middle. Double wide homes have a lot more space to work with. The sky is the limit when it comes floor plan possibilities. This 1976 Bendix mobile home has always been a favorite layout of mine. Circular kitchens are awesome! The Sierra is a model from Palm Harbor Homes. It’s huge and well designed. The Brookstone from Skyline is another double wide that uses space well. It has a great end design. Clayton Homes has a double wide with a smart floor plan. It includes a large living area complete with a snack bar in the center. 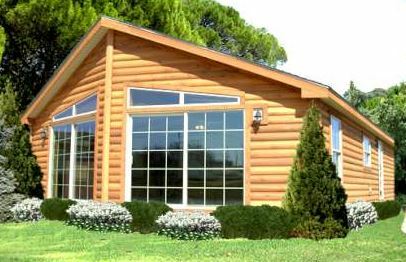 Manufactured home builders can create any floor plan. If they don’t have the exact design you want you simply select the floor plan closest to your needs and customize till you get it. The floor plan of your home is important. You cannot easily change it like you can decor so it’s vital that you chose the design that will suit your lifestyle and offer convenience and style for years. I have a couple of questions. 1. I need a floorplan for a 1982 Bayview from Fairmont and the other question is, do you all know what those ‘fin’ like things on either side of the front of the mobile home are for. Do they serve any purpose or are they for decoration only? Can they be removed? Do you have a contact that would be an expert in this field? You’ll have a hard time finding any kind of literature for an older mobile home. There likely wouldn’t be any kind of floor plan info other than advertisements and brochures (manufacturer’s manuals are mass produced for size instead of models) and those are tough to find. I’ve seen some ‘fins’ and other seemingly decorative elements that are used to divert water away from corners and windows so there is a good chance that the designers put the fins up for a reason (even if it helped in transport). 1982 was well past the time frame that fins were popular in auto and trailer design (look at your typical 1963 model campers and homes, they were very streamlined and sleek with fin-like elements). I have a 1993 Royal Cove Mobile Home. I can’t find the water heater. Does anyone have any idea where it might be. If your home is the one with the off-center roof/ceiling I love it! It’s got the layout I like if the kitchen is in the middle, (I have a thing for kitchens on the end…lol). So, if your master bathroom is on the end, I think your water heater access panel is in your master bedroom or beside your washer or dryer. The panel blends in really well with your wall but you should be able to see the outline. It will be about 4′ tall and 2′ wide. You will need to take a flat head screwdriver to the clips and pull it out. Let me know if you find it! Best of luck! I have a 1963 Don-a-Bel 47′ by 9’9″ wide unit that I bought last summer. It’s on a little over an acre in the Pocono’s. For now it is my weekend get a way place, plan on retiring to it one day. The Home inspector I hired said in it’s day it was a high end unit buy can’t find anything online about it. Do you know anything? I am not familiar with that brand, sorry. The late 50’s and early 60’s was the golden era of mobile homes though so the inspector is probably right. Companies will use different names for models in different regions. Your Don-a-Bel could be called the Colonial in the south. Do you have any pictures and information on mobile homes where the hallway has been removed. I would love to redo a home, take out the hall and move rooms around, but am unsure of how it can be done. 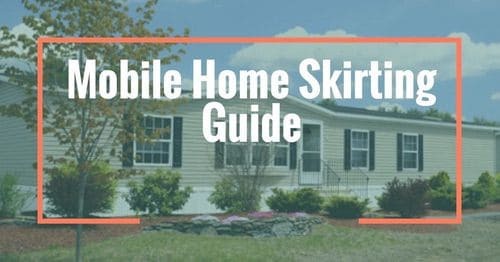 I do not but before mobile homes reached 10′ wide they had no hallways so you may be able to get a ton of information and inspiration by looking at vintage mobile home floor plans. Before 1954, the US highway department didn’t allow anything on the road that was wider than 8′ so the homes didn’t include hallways, you just walked through the rooms to get to the next. Other than that, I have’t seen any recent remodels with that idea but it would be interesting to see how it works. Hi! I’m trying to find a floor plan to a Skyline Oakmanor 5718. it was built in 1990, and i’m not having much luck coming up with one. It’s 3BR, 2BA, with office/den space. Can you help? I’m sorry – I don’t have it. Unless Skyline has it posted on their site (I didn’t see it anywhere) it won’t be easy to locate. Is there a particular reason you need the floor plan? I just found your site and love it! I’m planning an addition to our 1994 Cavalier Home. I will make sure I share pictures as we go. Thanks so much for making this website! So glad you found MHL! I would love to get a hold of some photos that show the construction process of an addition. 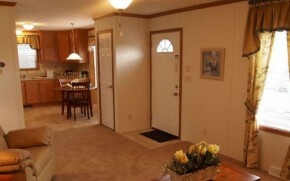 Photos about mobile home remodeling are hard to come by! Please let me know how it goes! When you get finished I’d love to feature it! Thank you! Why are floor vents in manufactured homes in odd places throughout the home? Why can’t they be near windows like regular stick-built homes? Most all vents are going straight down the middle of a single wide and each side of a double wide. It’s to reduce corners in the venting systems – they are very simple and typically go straight down both ends of the home from the furnace (which is typically in the hallway or utility room). It’s a matter of simplicity mainly.
. where do I start?? I hate to be the bearer of bad news but your chances of finding any kind of schematics for a mobile home is very slim. 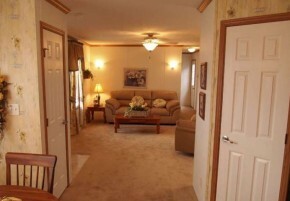 However, one of the great things about mobile homes is their simplicity. Both plumbing and wiring are installed in a way that makes it very easy to work with. Whatever side that your breaker box is on is usually the side the wires are run on, typically under the home or through the ceiling, and branching out to each room as needed. If you notice that the majority of outlets are one side of the home, that will tell you exactly which side the wires are ran. Hope that helps! Best of luck! I love this site. We are remodeling a 1983 Palace mobile home ourselves. Your site has been a great help. Hi Jeannie! Thanks so much for letting me know – it means a lot to me! 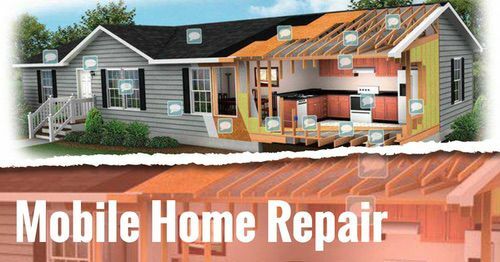 I’d love to see your home when you get it finished! The 2010 Clayton Blueridge singlewide has a unique (and wonderful) layout, particularly for the kitchen. It’s perfect for a single person. 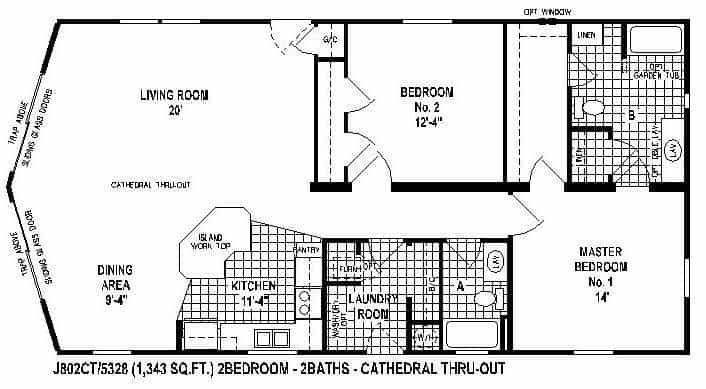 The early floor plans of single wides are very influential in new craze of “tiny house living”. Thank you Jen! I’m so glad you like it! My favorite plans are from Clayton Homes, 6716dta and Eo913. I’m trying not to talk my husband in buying a brand new MH but they are so nice looking. Thanks for this site, it’s so inspiring! 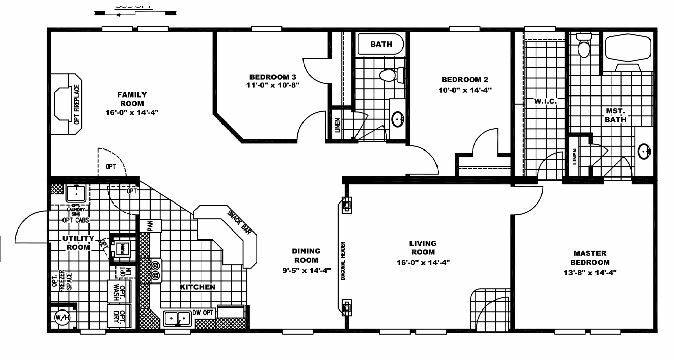 Love looking at floor plans, especially my beloved single wide. I too like the kitchen in the front that is open to the living area. Sweet!